At All Terrain Services, our Perth professionals provide you with the tools, machinery and equipment you need to complete projects of any size. With mobile crane hire services to suit all applications, we simplify construction. Our mobile cranes travel across surfaces without the need for fixed runways, enhancing versatility and manoeuvrability. When working on projects requiring power, precision and efficiency, mobile cranes are your best bet. 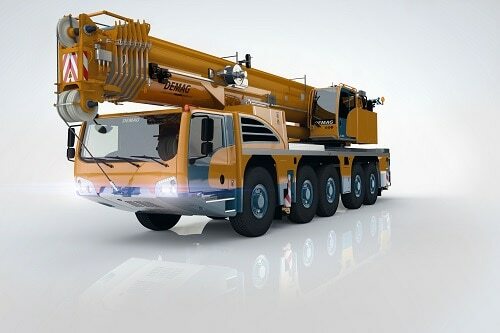 Coming in all shapes and sizes, you’re bound to find a mobile crane that to solve your problems. From lifting and lowering materials through tight spaces to transporting heavy goods between floors, our mobile cranes have you covered. For expert mobile crane hire and materials handling equipment in Perth, chat with our team. When Should a Mobile Crane Be Used? Mobile cranes can be set up in a variety of different locations, sites and environmental conditions. From minor residential renovations to full-scale commercial builds, mobile cranes offer versatility and flexibility. Acting as a simple and effective solution for transporting and placing materials across sites, mobile cranes are ideal for moving loads between floors or in areas with restricted access. Some mobile cranes can also carry loads while moving. If you’re working on a project that requires precision and reliability, hire a mobile crane to get the job done. In order to choose the right type of crane for your project, you need to understand the key benefits and differences of each. A majority of mobile cranes fall into three categories, making finding the right crane simple. Hydraulic boom cranes: robust and reliable, hydraulic boom cranes boast impressive strength and smooth handling. Lattice boom cranes: incorporating crawler cranes, lattice boom cranes are self-propelled on tracks. Non-slewing cranes: also known as pick-and-carry cranes, non-slewing cranes can transport loads across your site while also acting as a crane when required. The FRANNA AT-20 is a powerful crane that provides you with the ability to lift almost anything anywhere. With the hydraulic oil and fuel tank integrated around a six-cylinder turbocharged and intercooled engine, you can count on the FRANNA AT-20’s reliability and power. Powerful, reliable and versatile, the FRANNA MAC-25 is built for comfort and hard work. With pilot operated hydraulics and a digital load indicator, you can take control over the movement and placements of your materials. For precision, power and functionality, the FRANNA MAC-25 has you covered. 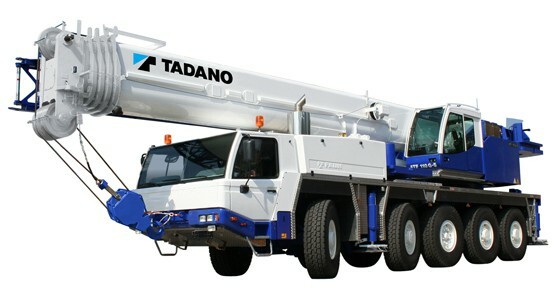 One of the most powerful cranes in its class, the TADANO ATF-110 is able to take on jobs of all sizes. It’s able to tackle jobs where larger cranes are normally used, providing you with a versatile and functional mobile crane for any project. 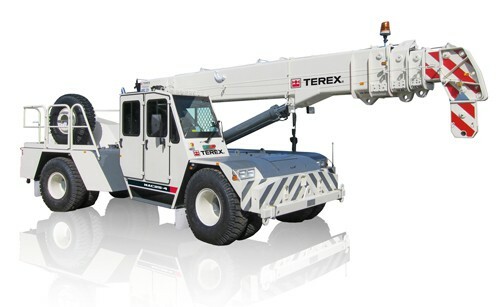 Boasting impressive stability and manoeuvrability, the TEREX DEMAG AC140 incorporates advanced IC-1 LCD touchscreen crane control. 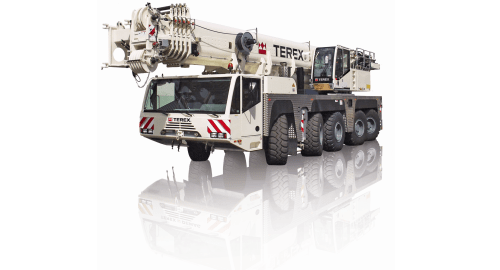 With precise handling and high capacities, the TEREX DEMAG AC140 suits a range of applications. 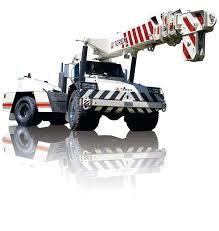 All Terrain Services is Perth’s trusted mobile crane hire team. With a range of cranes available, we provide you with the equipment you need to complete projects of all sizes. For expert advice on our mobile crane hire services, call us on (08) 9358 6788.